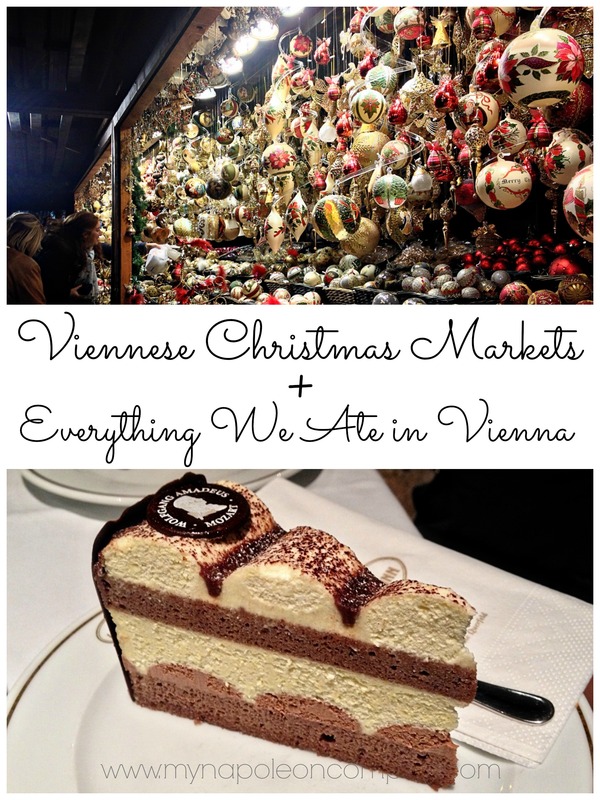 One of the main reasons we went to Vienna, as well as one of the main reasons you should go to Vienna, is for the Viennese Christmas markets. 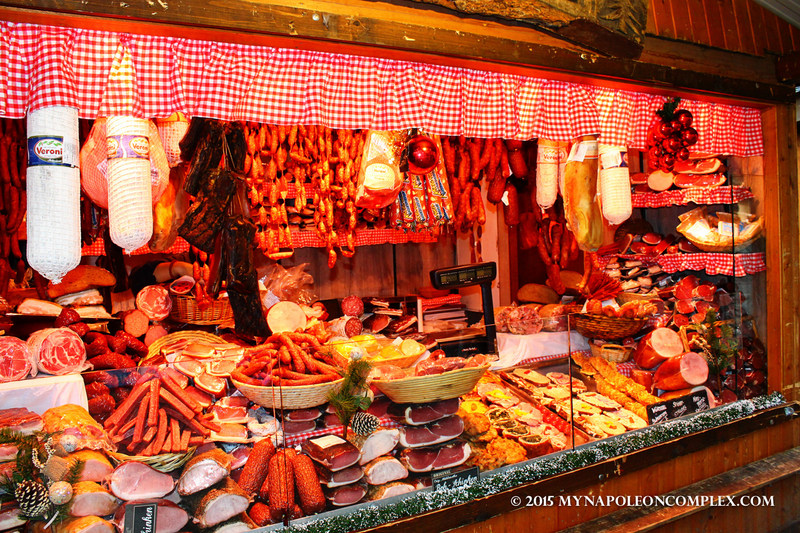 All over the city, in big squares and small, little markets spring up selling all kinds of yummy food and cute Christmas decorations. 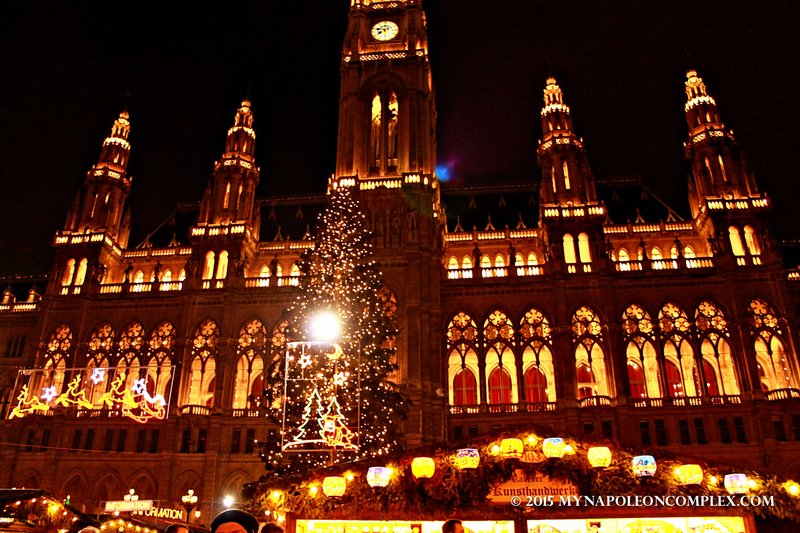 Vienna Christmas markets are some of the oldest and most famous in Europe, so of course, while we are here we had to experience a real Christmas Market. 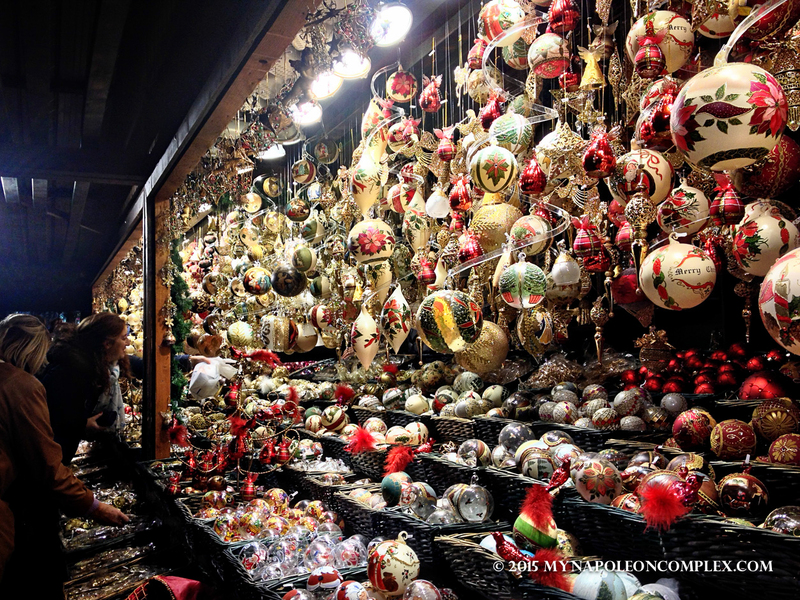 We were in Vienna on the exact weekend when Christmas markets start opening, so some Christmas markets, such as the Schönbrunn Palace Christmas Market and the Belvedere Christmas market, were not yet open. 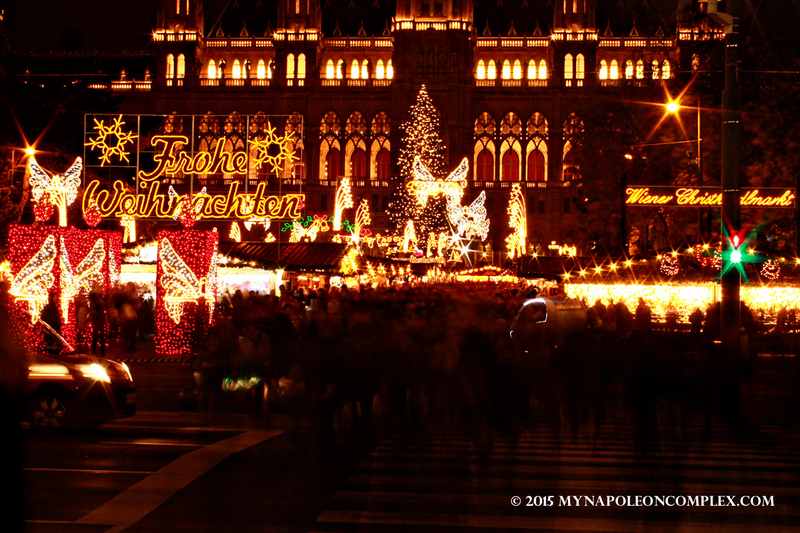 Still, we did get to see perhaps the most famous (or the most picturesque) market of the city, the Rathaus Christmas market. I really wish I had a bigger stomach to try this: Soup in bread bowls! By the way, our Italian friends were super intrigued by this. 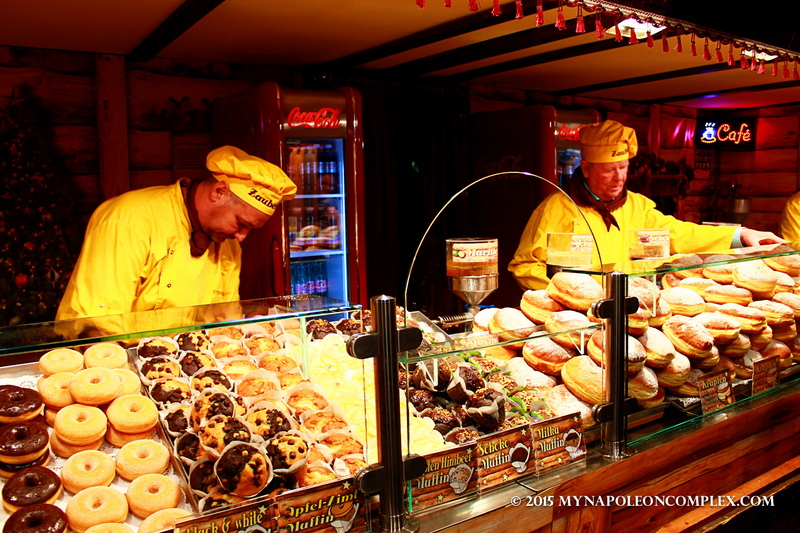 Look at all those donuts! 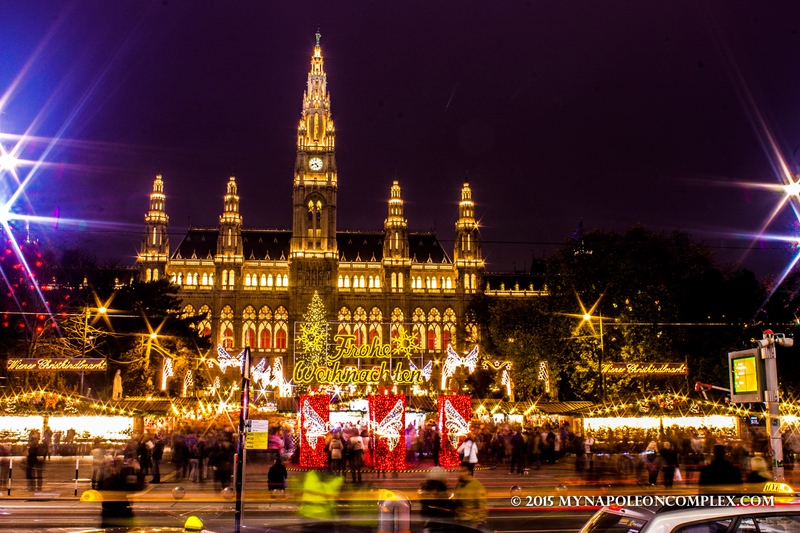 What to say about the Rathaus Christmas Market? Before then, the only “Christmas Market” I’d been to was the Piazza Navona Christmas Market the year before. I put it in quotations because really, it was a ton of stands selling cheap children’s toys and sweets, and no real quality Christmas decorations. Beautiful handmade Nativity sets in all sizes! 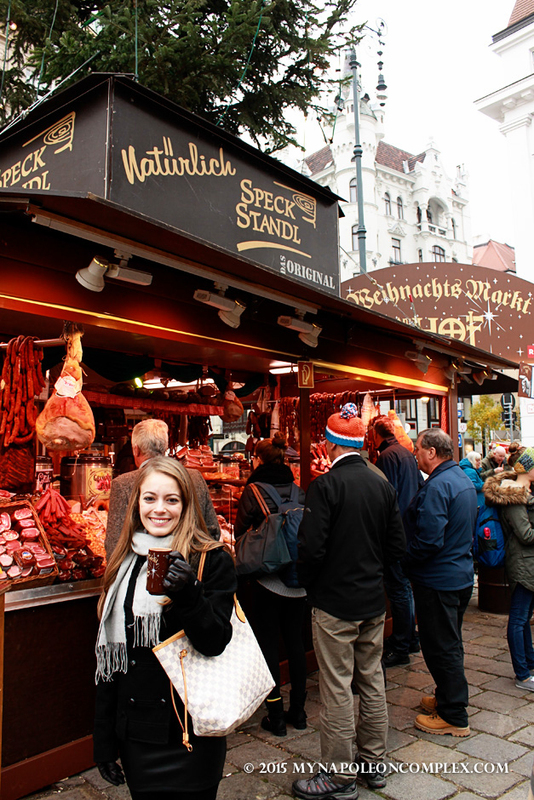 But Rathaus market was absolutely magical (and absolutely full of people). My suggestion is to go at night for the pictures and during the day for the shopping and eating. We went more than once ourselves, bought a few things and ate our hearts out. It was also my very first time trying glüwein, aka vin brule, aka mulled wine. It was a life changing experience. I didn’t think I’d like it, but of course, who am I to be the only human in the world who isn’t enamored by the magic of glüwein? One of the things I liked most about the markets was the fact that every market had its own special cup for the glüwein that you got to keep. Of course, I expect if you are a local you probably have a thousand of those all over your house, so you always have the option of returning the glass and getting about half of what you paid for back. But for tourists like us, it’s probably the best souvenir you get to take home from Vienna. We ended up with four different cups from three markets. 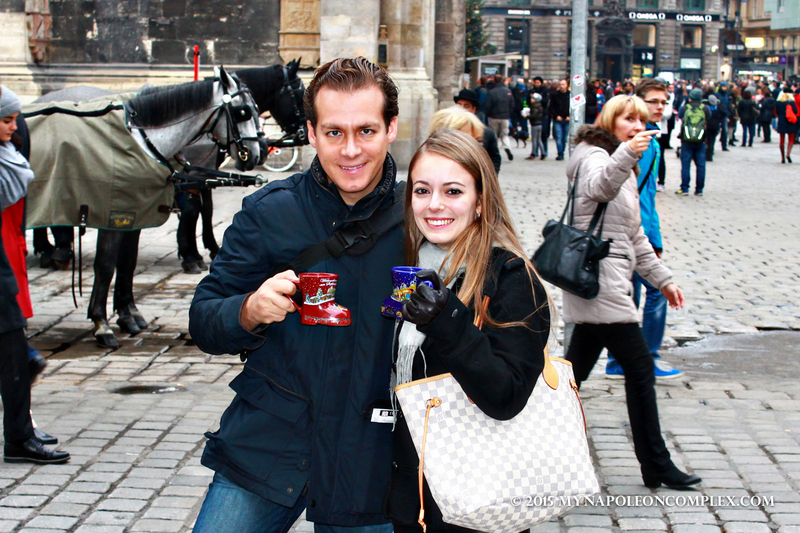 We also went to the Stephansdom Christmas market, which I loved because its glüwein cups were mini-boots in two colors. Obviously, we got them in both colors. 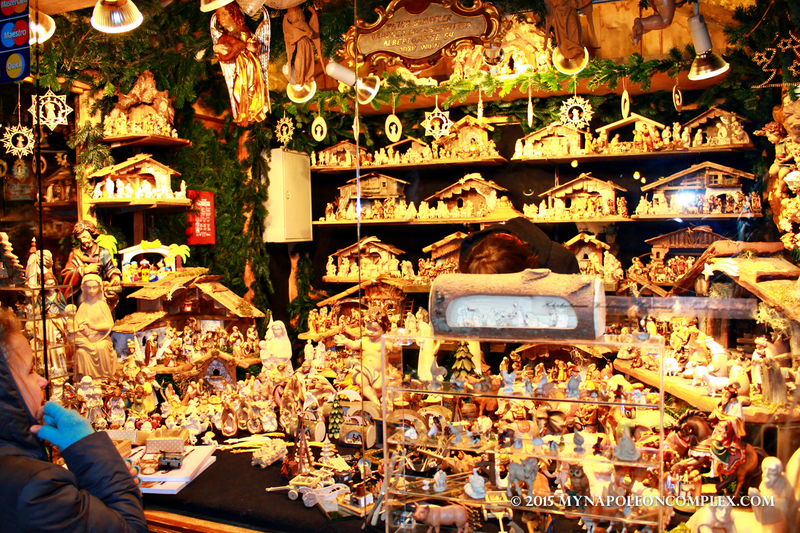 Then, when we got lost looking for a specific chocolate store, we ended up stumbling across yet another Christmas market, the Am Hof Advent Market. I absolutely adored this market because it was considerably less crowded than the Rathaus market and had some very original souvenirs. 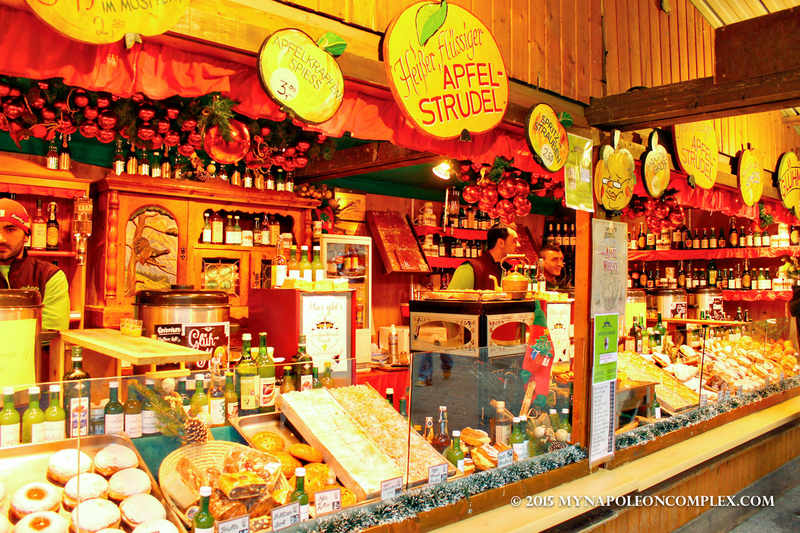 It was also where, instead of having glüwein I had apfelpunsch. Oh my God, it was life-changing. It was literally like having an apple pie, or even better an apple strudel, in warm liquid form. I’ve since found out it’s not even alcoholic, but it makes no difference to me. If you like apples, you have to try this drink. Of course, that weekend we also spent (what felt like the majority of our time) eating. I swear, I was in a constant state of food baby. 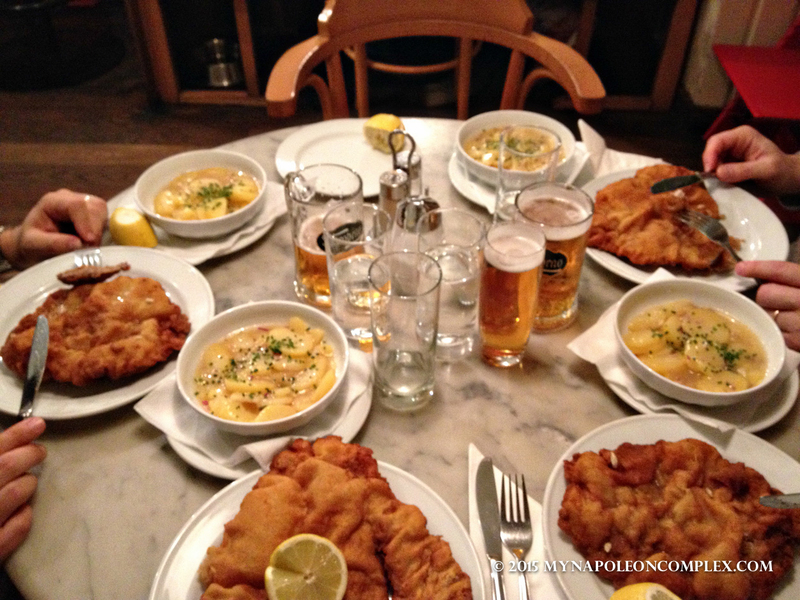 I’m not going to lie to you, I researched some of the most famous Viennese dishes, but we mostly ended up eating Wiener Schnitzel. I mean, how could we not? Not only is it like my favorite food in the world (in any country) but its name is literally Viennese Schnitzel. So basically, we tried it at like four different places throughout the weekend, each time trying to find a place that served an even bigger piece. We finally found it at the last place we went to eat, a place that proclaims itself the “home of the schnitzel”, Figlmüller. I was kind of reluctant to go here just because it looked so touristy, but the food wasn’t bad and the schnitzel was so huge that I almost couldn’t finish it all…almost. My favorite schnitzel of the weekend, however, was at Gasthaus Pöschl, near Stephansdom. It’s a tiny place and we tried to go our first night in Vienna, but it was packed. So we made reservations to go on Sunday (because it was also full on Saturday). The schnitzel was very good, and the potatoes were amazing, the best potatoes I’ve had in any Austrian or German place. I actually tried to find a recipe to make them at home two days ago, but it was definitely not the same. Everyday for lunch we went to Bitzinger Würstelstand by the Albertina museum. It was that good. The only negative is that its menu is strictly in Austrian and the employees speak zero english. But really, I’m sure any of their sausages were good, but we picked the first one on the menu, the käsekrainer (sausage filled with cheese). It was amazing. Note that if you order it by itself you get the sausage with bread on the side, but if you order it as a hot dog you get the sausage inside a bread similar to a baguette (um, hello, America? Why are we still using those crappy hot dog breads that fall apart?). All four of us ate, with beer included, for 30€. 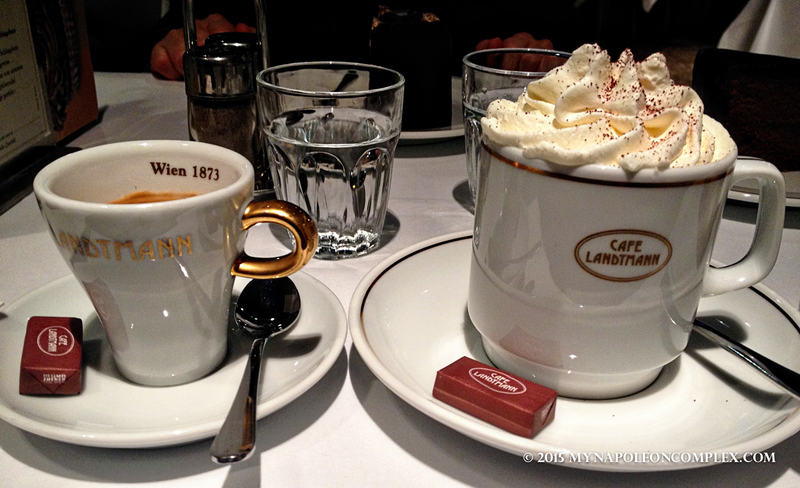 Vienna is also famous for its many fancy cafés, so we tried to squeeze in as many as we could. Obviously, we went to the Hotel Sacher (which is right across the street from the würstelstand) to try the original Sacher Torte. It was good, though not my favorite dessert. We did have to wait in line for like 20 minutes, but I’d say it’s just something you have to do if it’s your first time in Vienna. 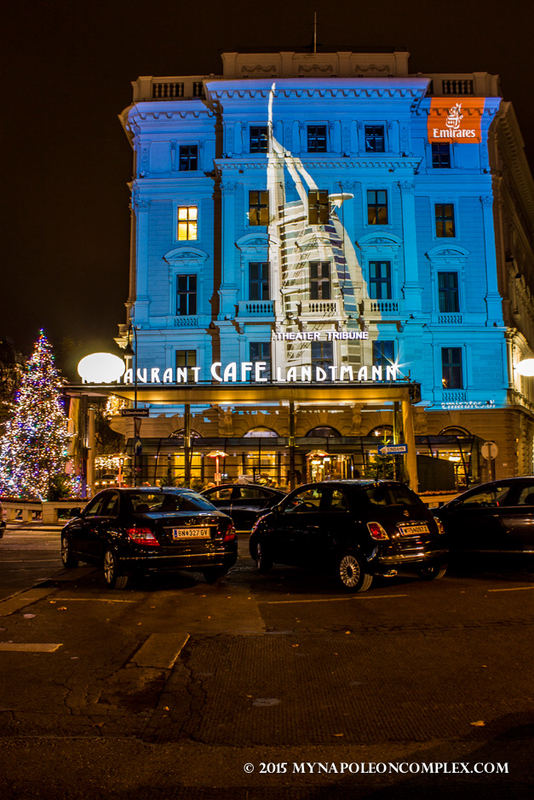 Another café I really enjoyed was Cafe Landtmann, close to Rathausplatz. There I tried the Mozart cake, which I believe is their specialty, inspired by the Mozartballs chocolate that you can buy all over the city. 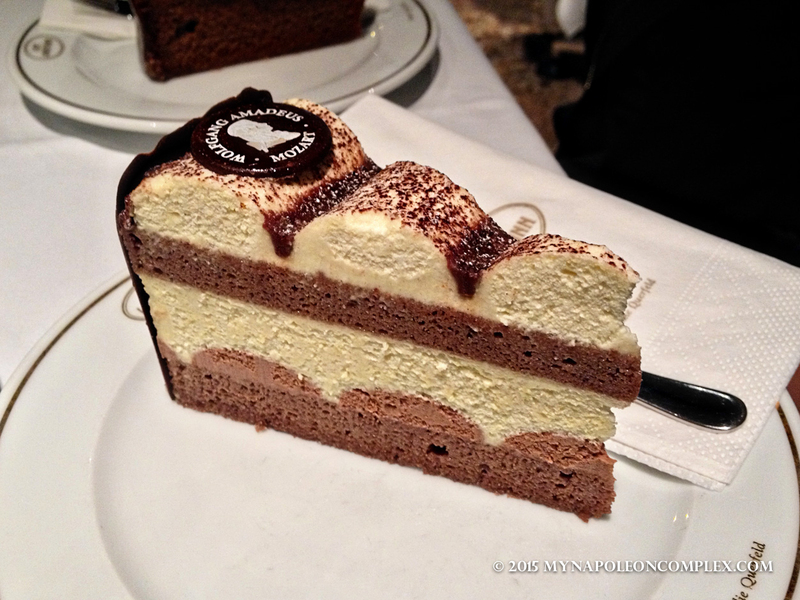 It was very good, I actually liked it much more than the Sacher. I’m also including, because I’m an American who lives in Italy, Starbucks. Look, Italy serves some of the best coffee in the world, I’ll not deny that. I say some of the best because I am cuban-american and I did live in Miami, so unlike most Americans, I’ve had a real espresso before I ever stepped foot in Italy. However, all that being said, I like my Starbucks and I have no shame admitting it. Since there is no Starbucks in Italy, whenever I’m in a country with Starbucks, I like to stop by at least once. 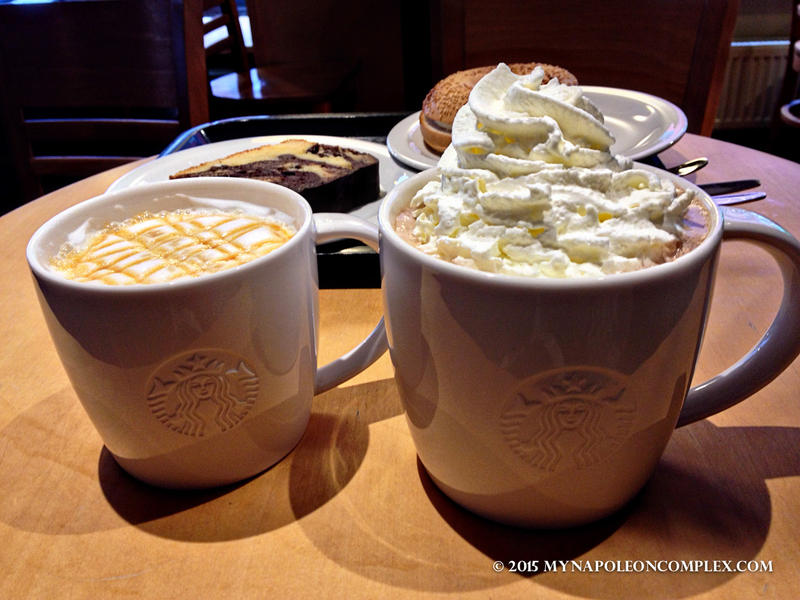 Luckily for me, my Italian friend had tried Starbucks when she went to London and she liked it, too, so she was right there with me willing to satiate my addiction. 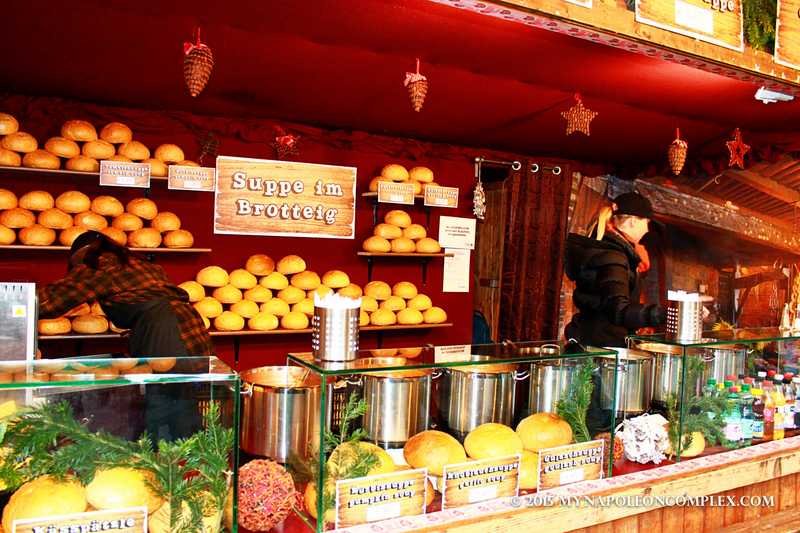 Finally, we also tried some food at the Christmas markets. 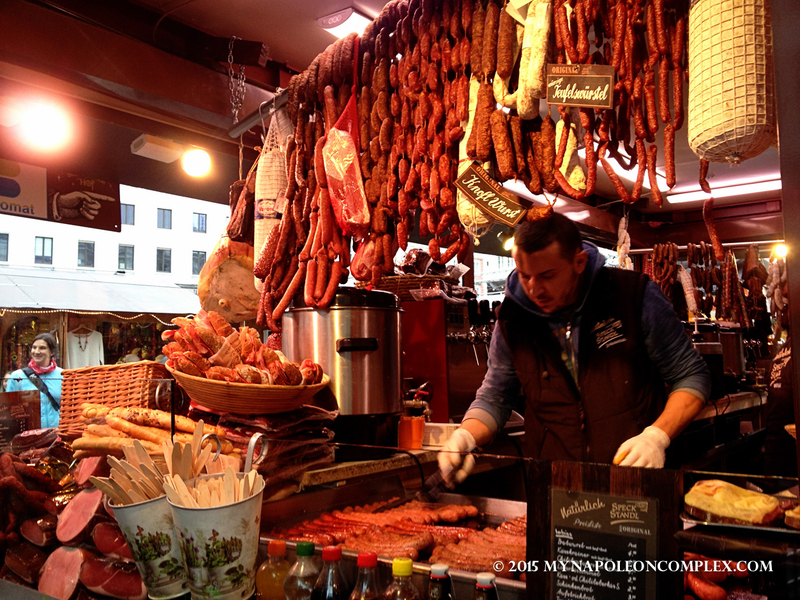 Christmas market food is similar to fair food, so really none of the options available were absolute surprises for us. For our Italian friends, however, soup in bread bowls and loaded baked potatoes were as foreign as can be. So we convinced them to try a loaded baked potato, which was absolutely amazing, I’m surprised America hasn’t thought of this. 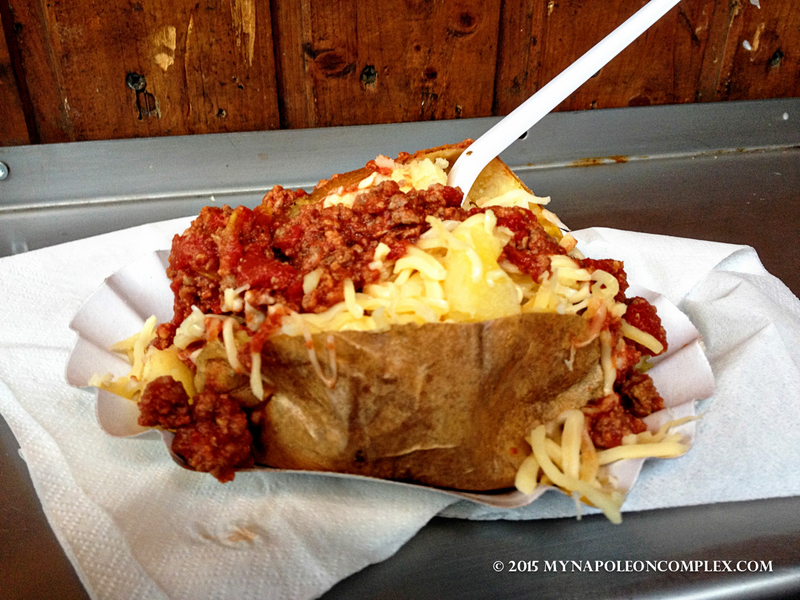 It was a stand serving only baked potatoes with every possible combination of topping you can possibly imagine. Jaime and I shared a potato bolognese style, meaning it had cheese and a meat ragu. Our friends got another potato with some ham, and this creamy white sauce that I was extremely jealous I didn’t get. 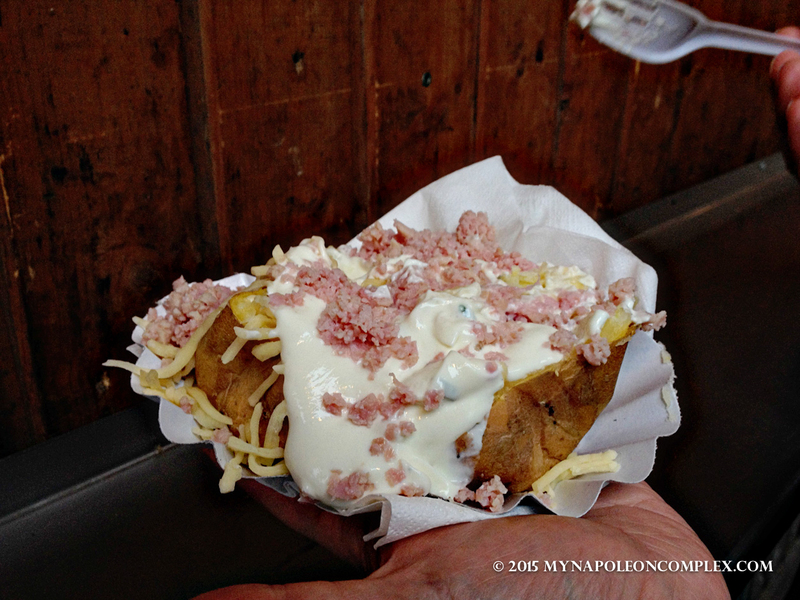 It was fatty mcfatpants heaven (for the record, right after that, we went to Bitzinger and had a würstel as well).